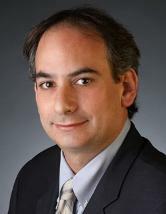 Sam Neschis is a commercial litigator with extensive experience in both federal and state courts. He represents businesses and individuals in disputes involving a wide range of areas including shareholder and partnership issues, breach of contract, trade secrets, employment issues, commercial fraud, and unfair competition. He also represents clients in probate, real estate, and art fraud litigation. He has tried numerous jury and bench trials. In addition to litigation, Sam assists business owners with company formation and issues that arise during the operation of the business. Sam began his career at the New York County District Attorney's Office where he prosecuted felony narcotics cases and supervised narcotics investigations. He moved to Chicago in 2002 and began practicing commercial litigation at Horowitz & Weinstein now known as the Horowitz Law Offices. He is currently of counsel to the Horowitz Law Offices. Sam is a member of the Illinois State Bar Association’s Business & Securities Law Section Council.